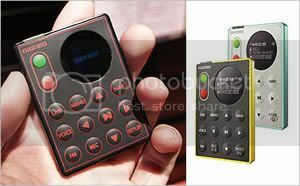 The Signeo SN-A800 MP3 player will be available for an expected $180 (USD) for a 512 Megabyte model and $250 (USD) for a 1 Gigabyte version. Copyright © 2019 - GizmoGuy. All rights reserved.